What is wagyu? When thinking of this fabled beef, the mind probably conjures up images of beer-swilling cows being massaged by geishas and generally enjoying a languorous existence. There is likely a grain of truth to the stories of how wagyu cows are reared, but the reality is that wagyu’s fatty marbling (shimofuri) is mostly due to the genetics of particular breeds of Japanese cattle. It is this shimofuri that results in the meat possessing its sweet fragrance and melt-in-the-mouth texture. The most well-known of wagyu varieties is undoubtedly Kobe beef, which is the beef of steers or virgin cows from the Tajima strain and raised in Hyogo Prefecture according to strict rules. Fewer than 4,000 head of cattle meet the stringent criteria for Kobe labelling annually. The lifting of the EU ban on imports of Japanese beef last year is why it was only recently that authentic Kobe beef has been available in London with a handful of restaurants serving it, including Sushisamba and M Grill. Of these, Engawa is the only one importing the entire cow so that it can offer customers a selection of cuts such as sirloin or fillet. 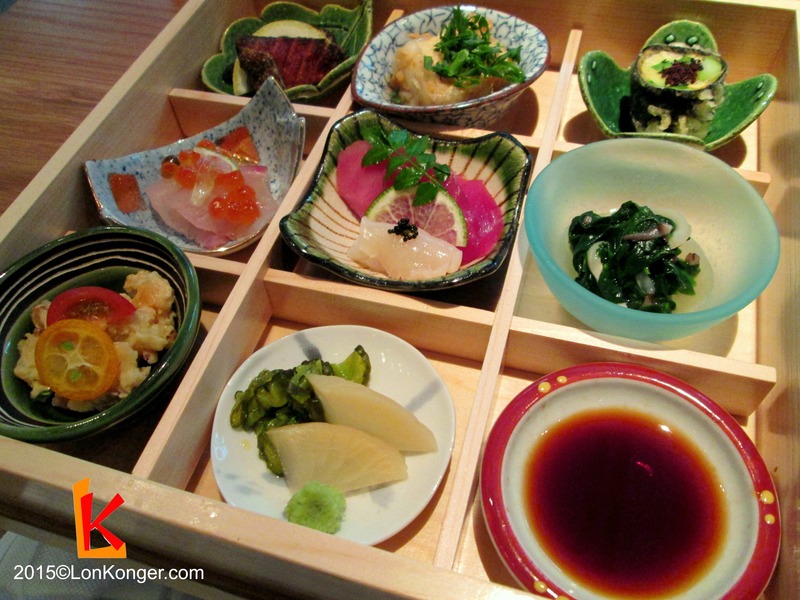 The set menu we chose started off with a beautifully arranged box of little dishes (hakozen) which clearly reflected the Japanese aesthetic. The sashimi was very fresh with my lunch partner remarking on how much she enjoyed the seabass. The steak was served medium rare for optimal succulence and flavour. You can clearly see the shimofuri. 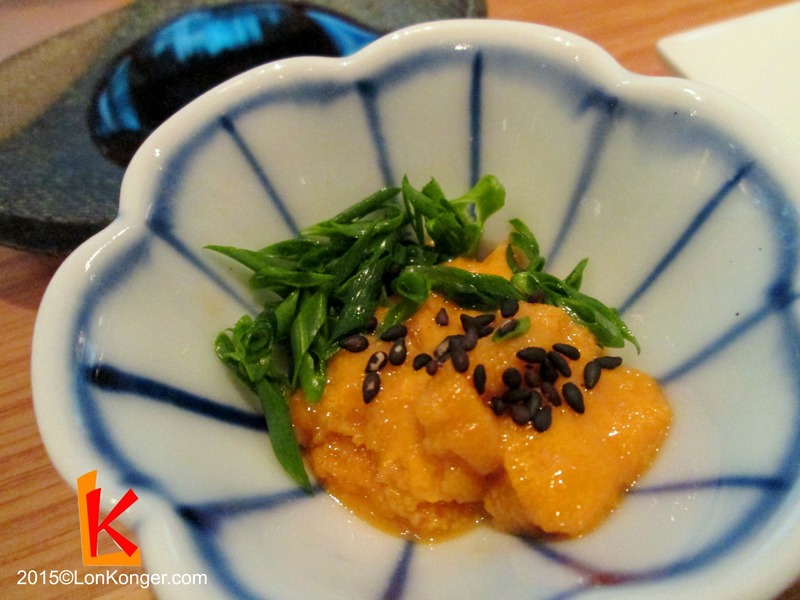 Sea urchin sashimi (uni) – We were particularly impressed that the restaurant was happy to indulge my request to satisfy my uni craving. It’s not the best uni but one would hardly expect Hokkaido quality in London. 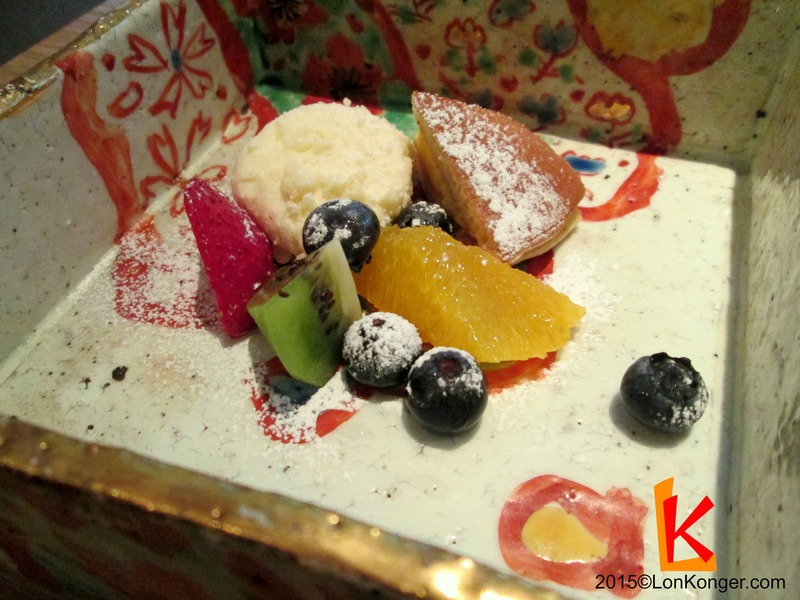 Dessert arrived in a bespoke Japanese ceramic container. 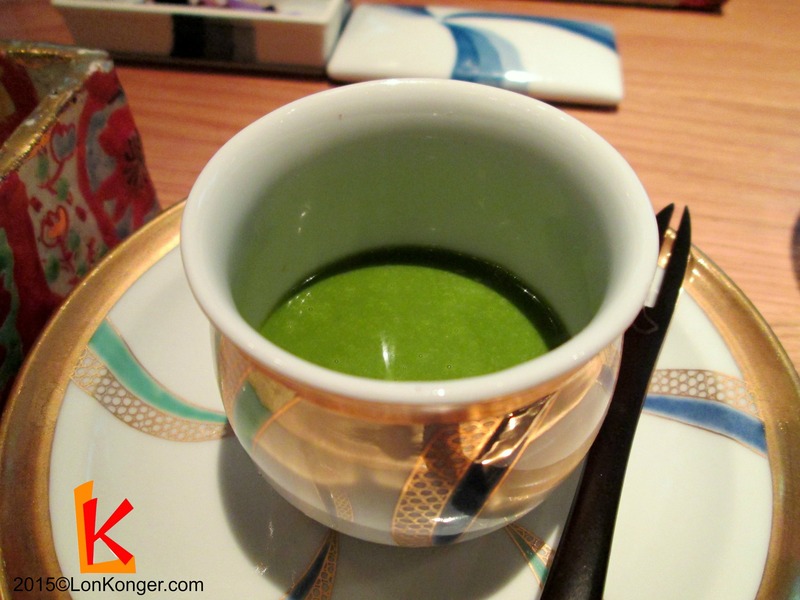 The dessert box came with a matcha and chocolate dipping sauce. This variation on fondue makes a nice change from the usual offering of green tea ice-cream tediously ubiquitous in London’s Japanese restaurants. 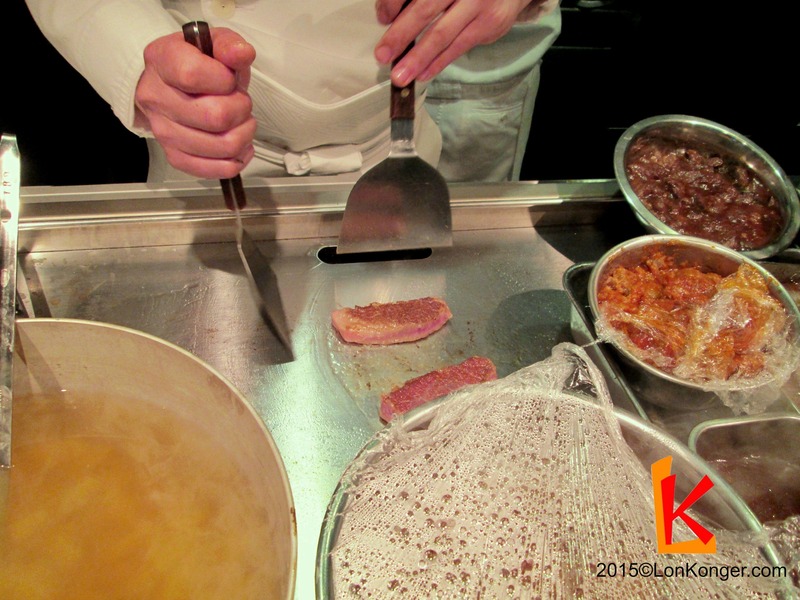 The teppanyaki kaiseki menu cost £70 and is the most expensive lunch option. 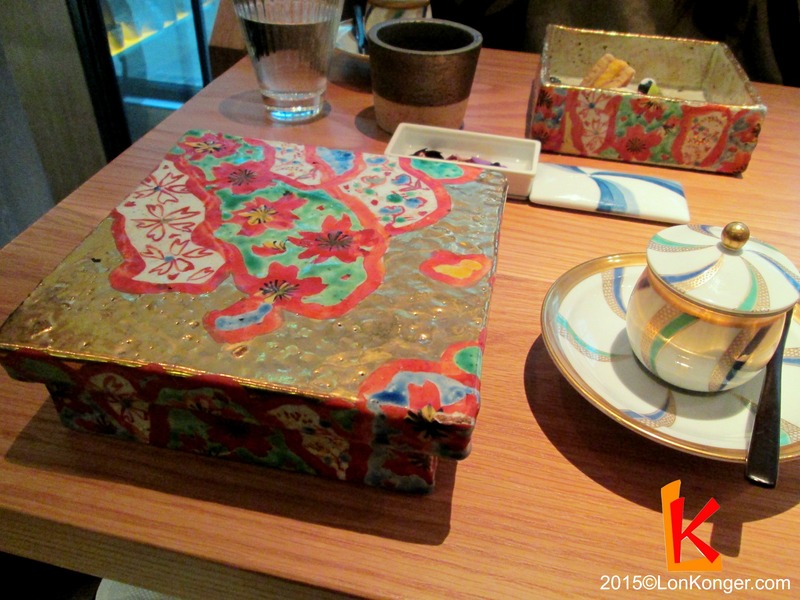 There is, however, a pretty bargain-basement Kobe bento box for £30. 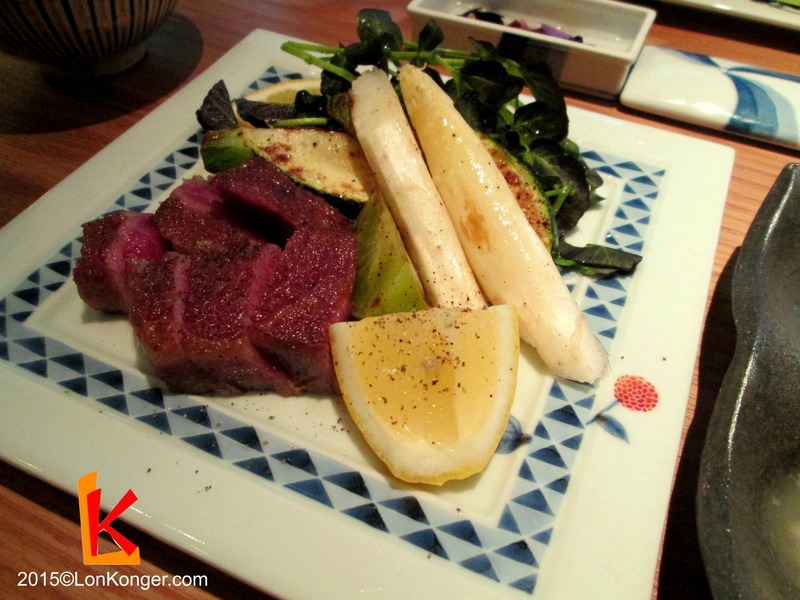 There is no doubt that to experience to the full what Engawa has to offer can be considered pricey but not that much so when you compare with restaurants of a similar calibre. 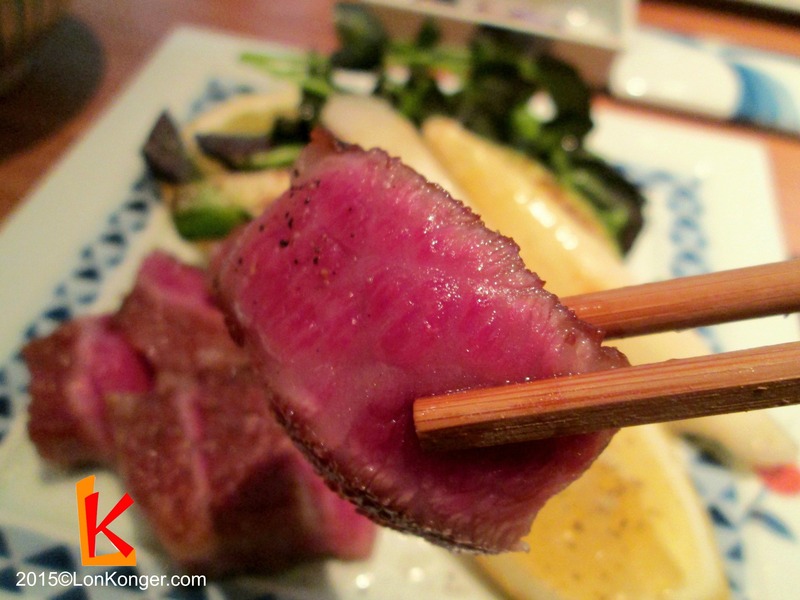 For my money, I would say that Engawa is the best value destination for trying the legendary Kobe beef and is a great addition to the flourishing Japanese food scene in London. This post is contributed by KC and edited by LonKonger.